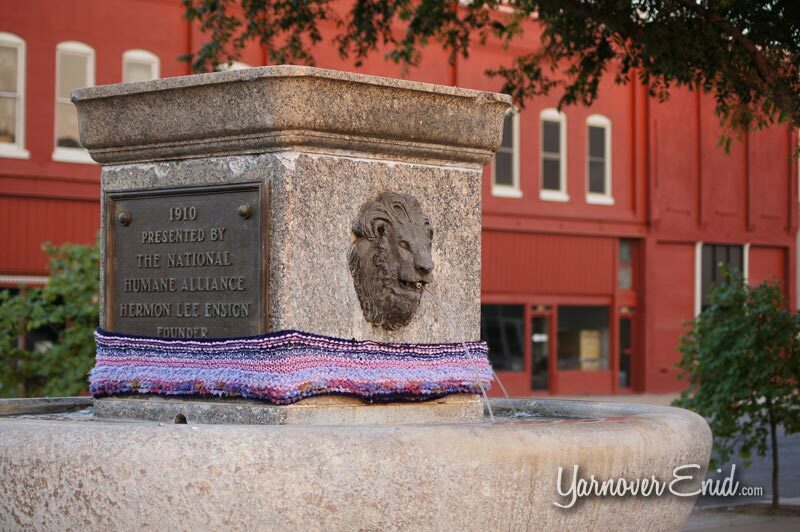 A storm was brewing and appeared to be bearing down on the downtown square of Enid, OK.
Reports state this storm actually began forming back in April from two hot spots just off the square. 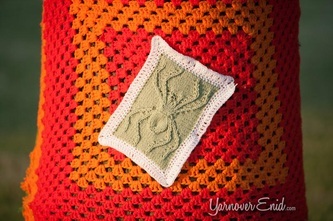 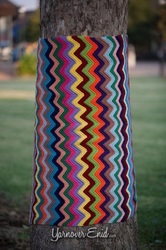 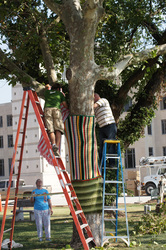 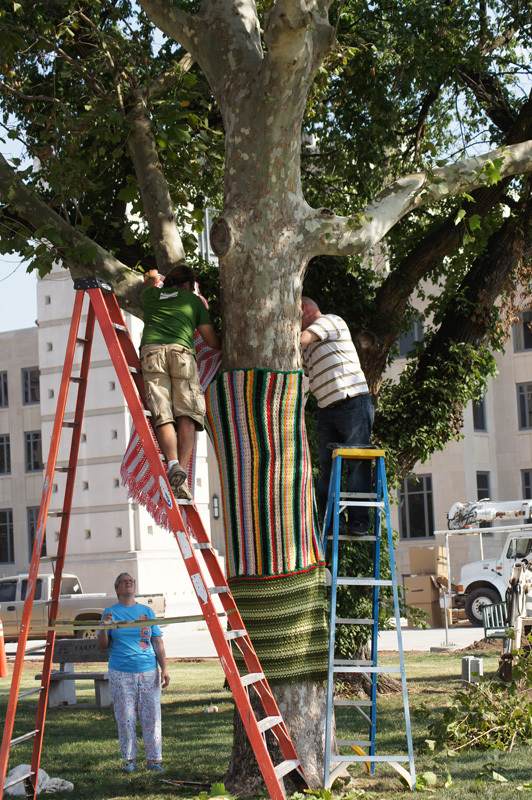 After building for several months, this storm registered a FIVE on the FA (Fiber Art) scale, the largest in Oklahoma! 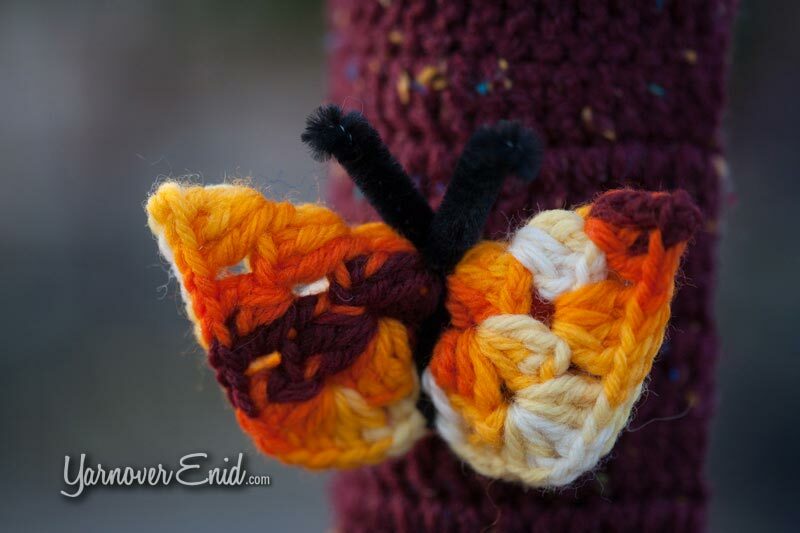 But instead of leaving a path of devastation and destruction, this storm spread a whirlwind of color. 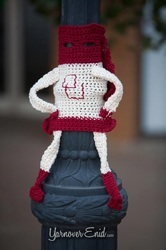 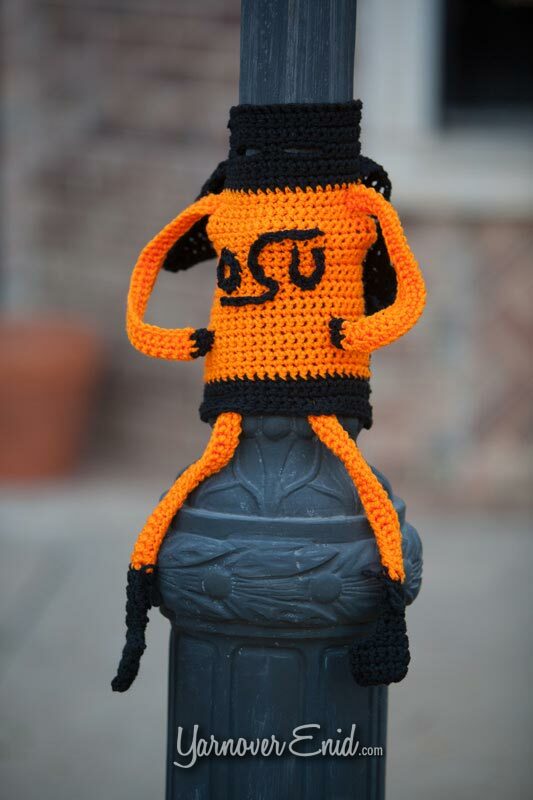 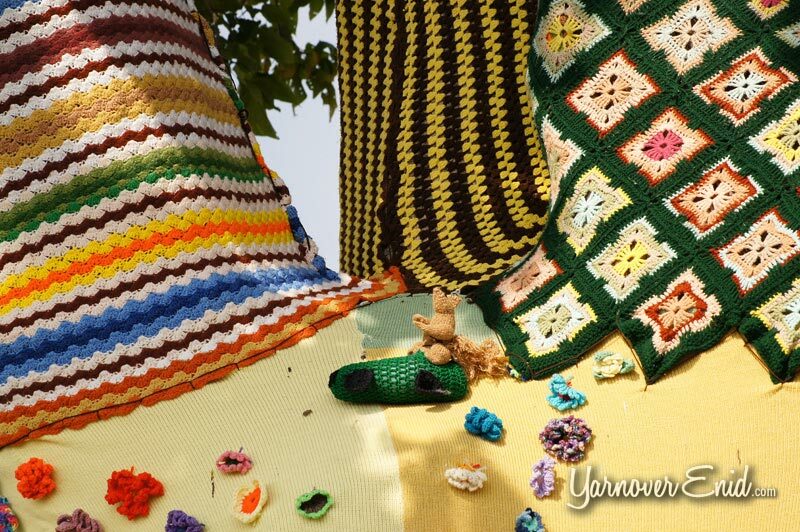 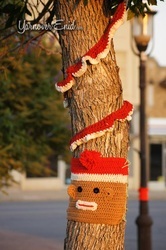 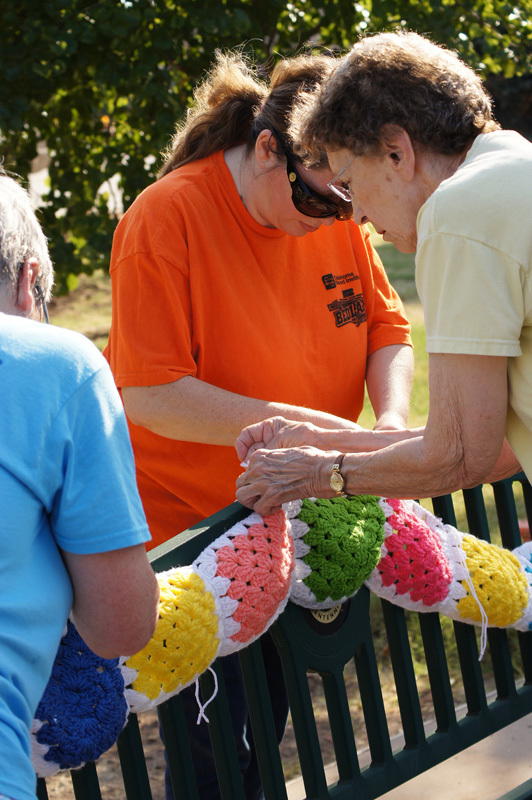 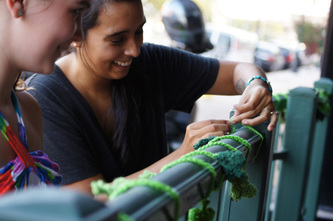 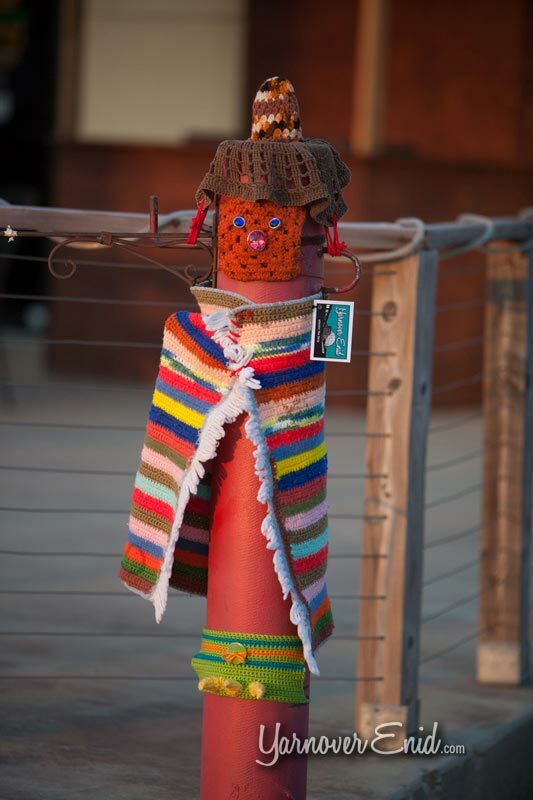 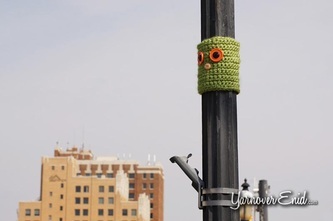 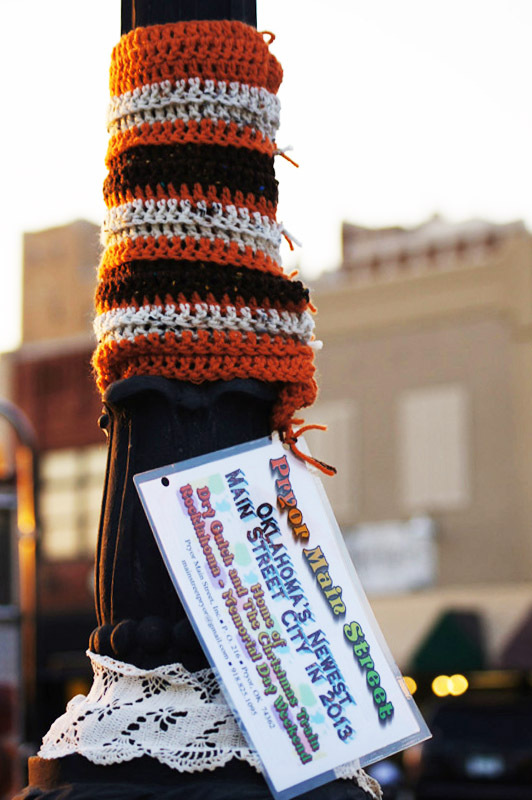 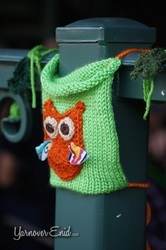 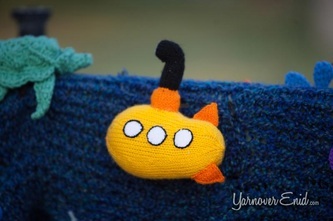 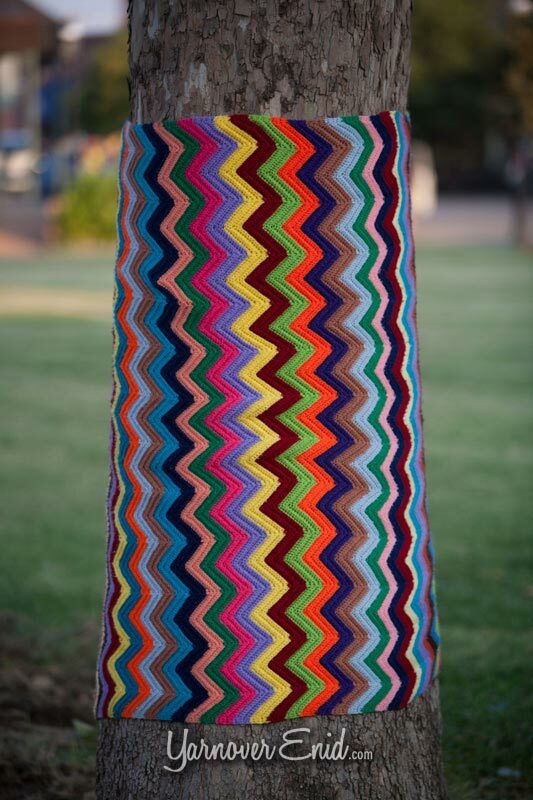 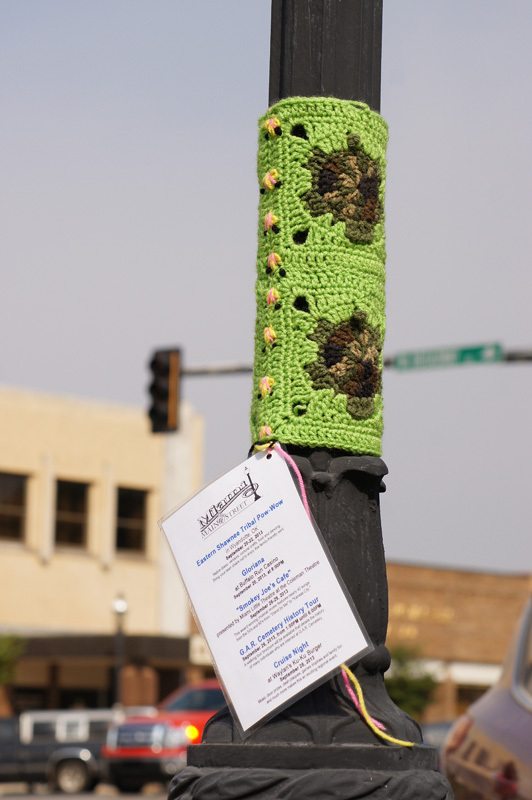 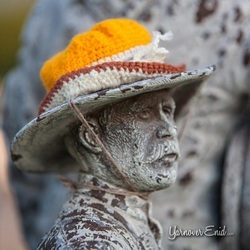 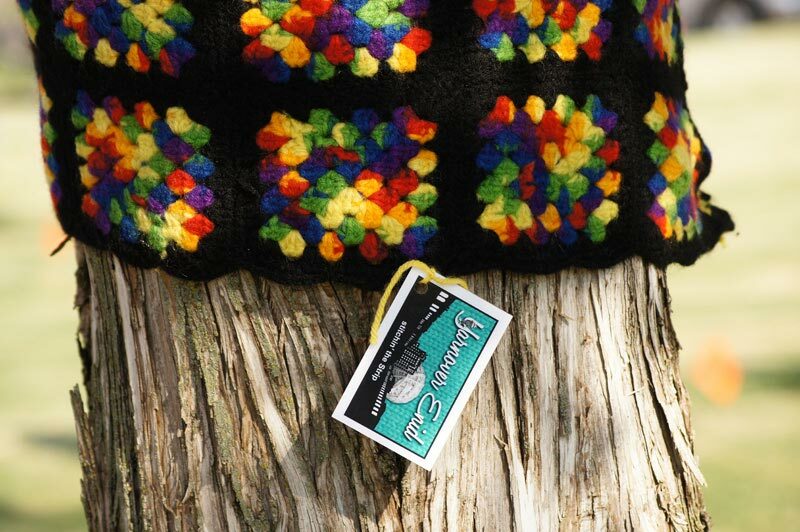 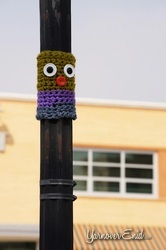 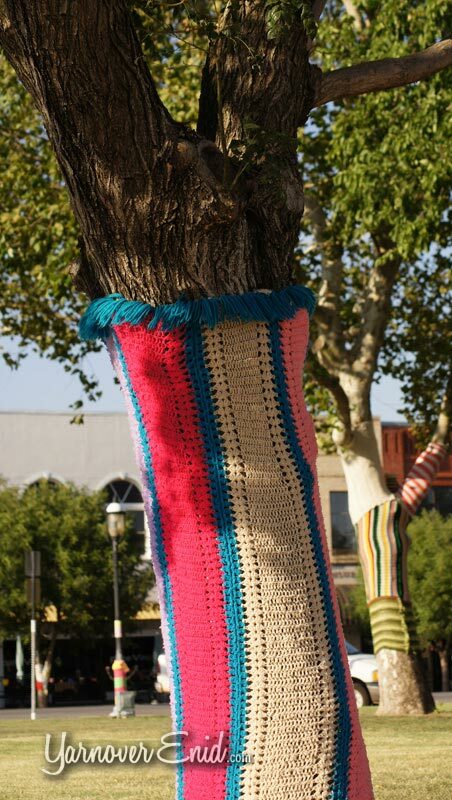 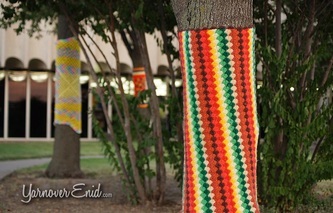 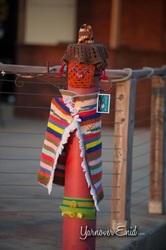 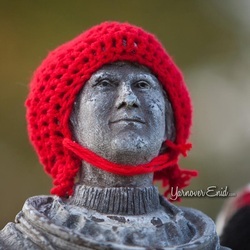 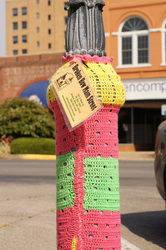 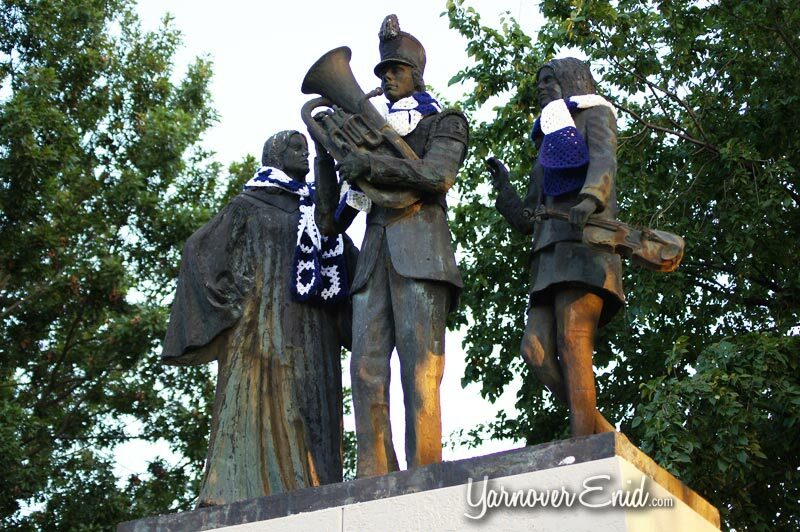 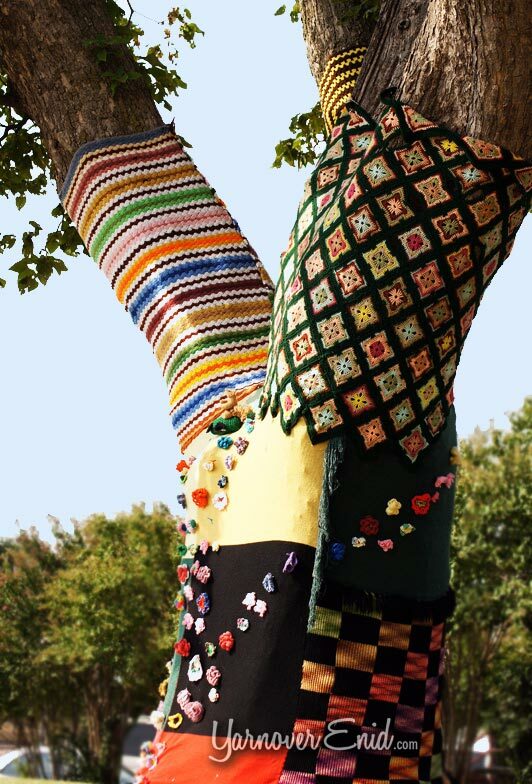 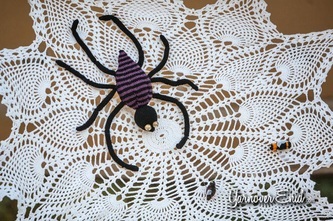 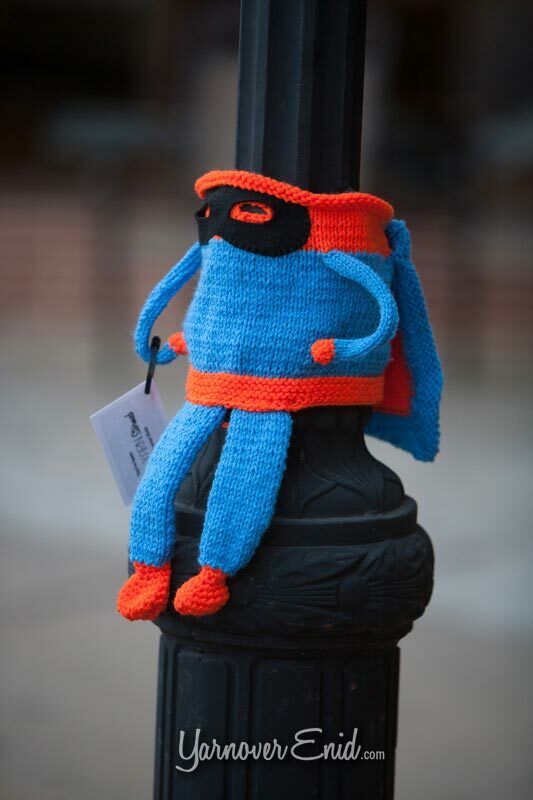 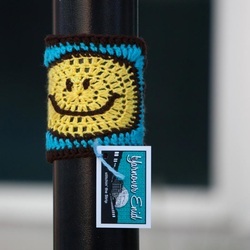 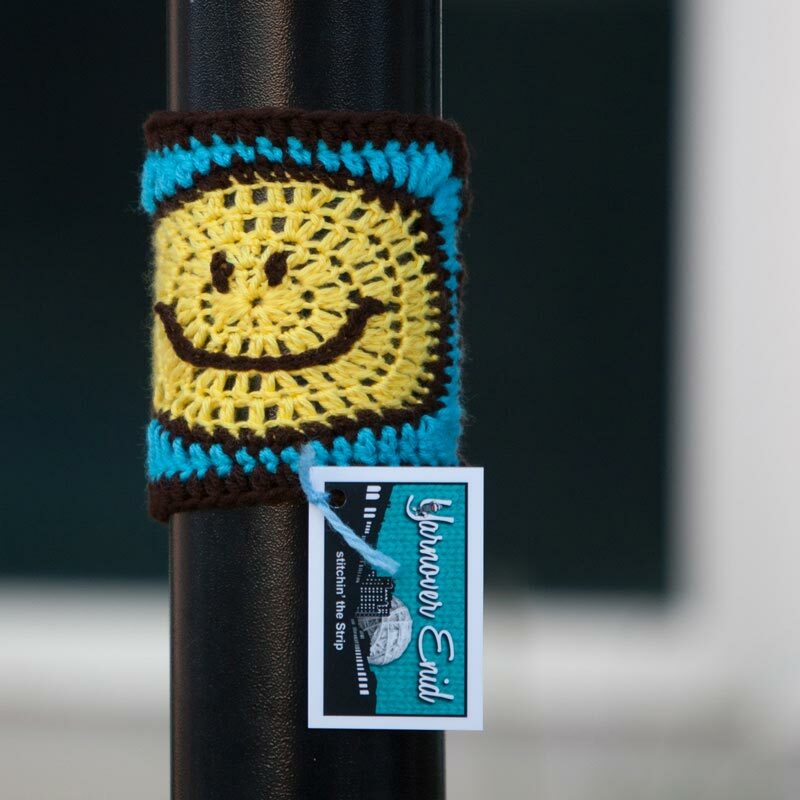 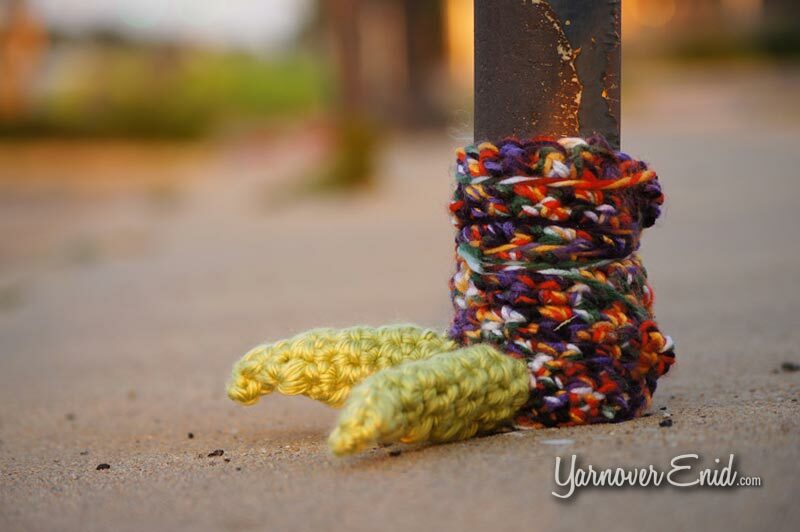 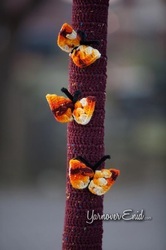 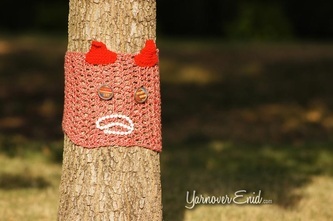 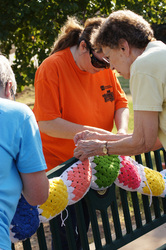 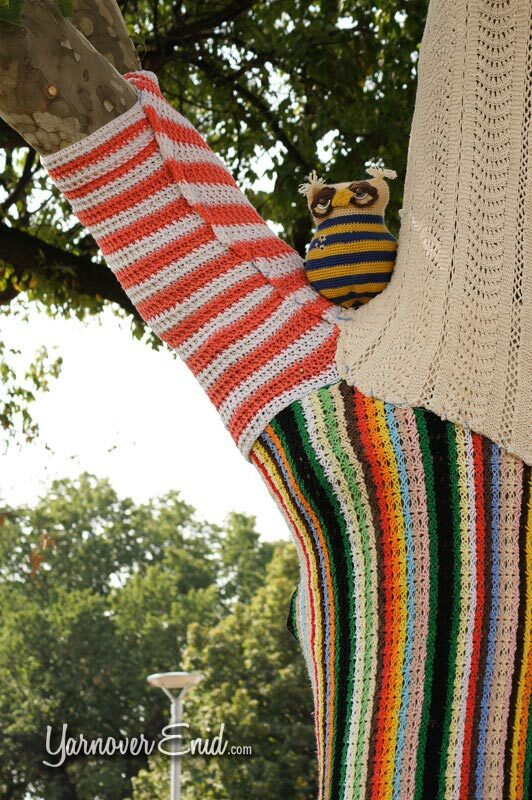 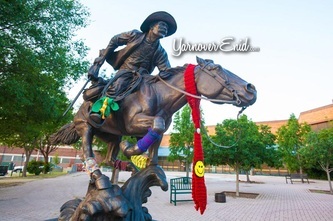 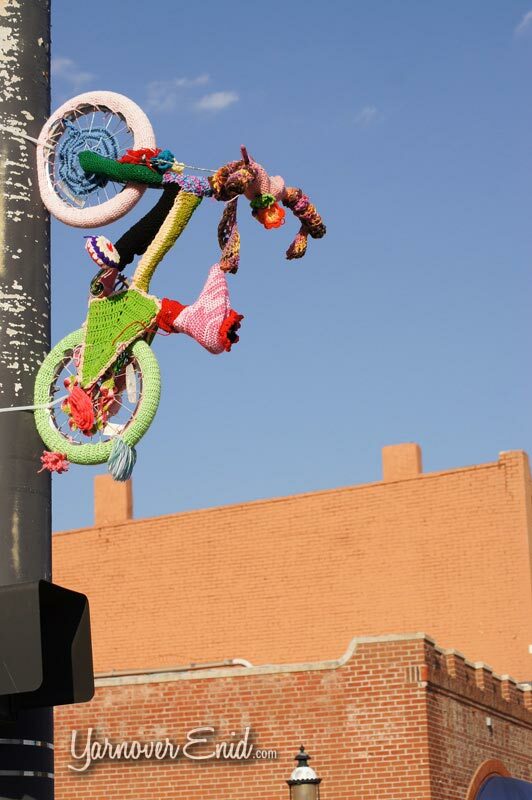 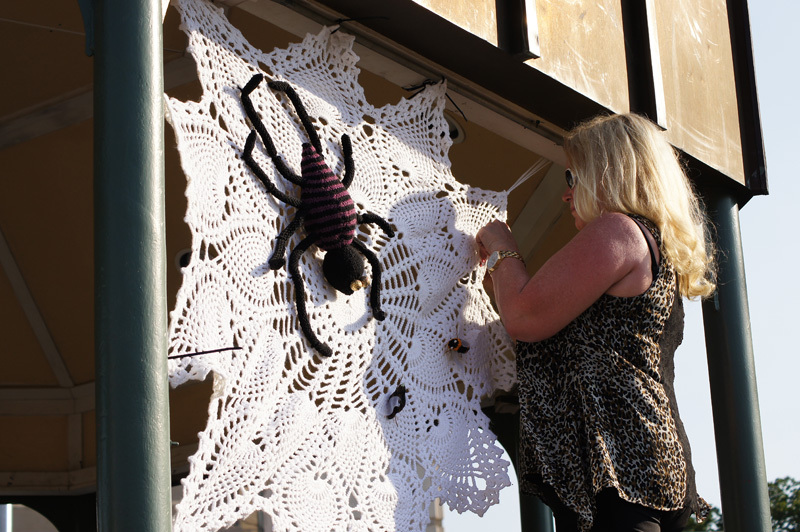 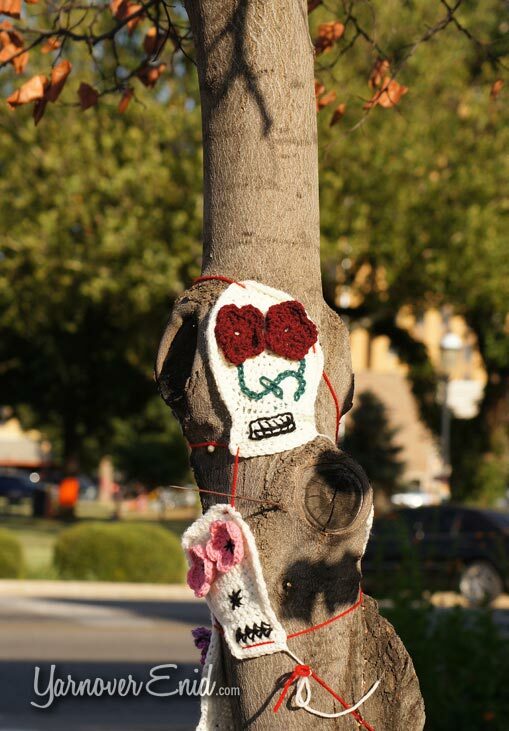 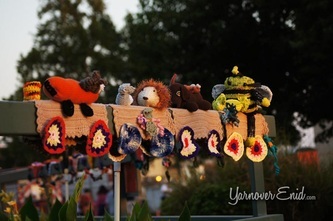 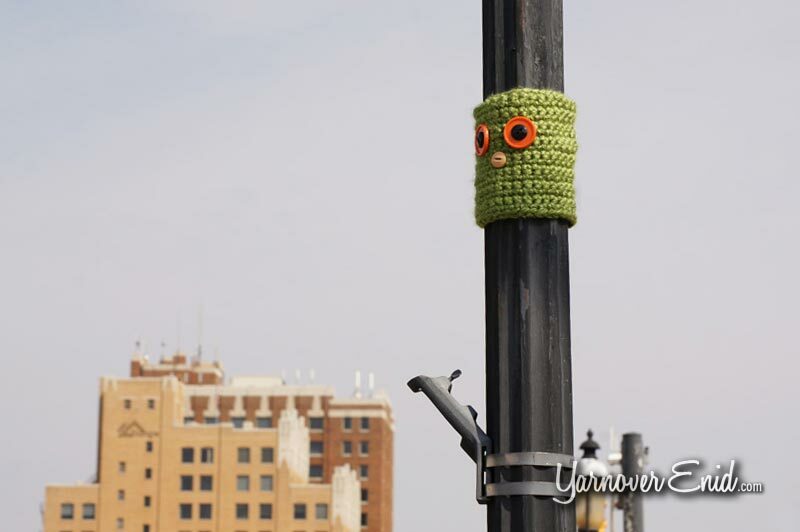 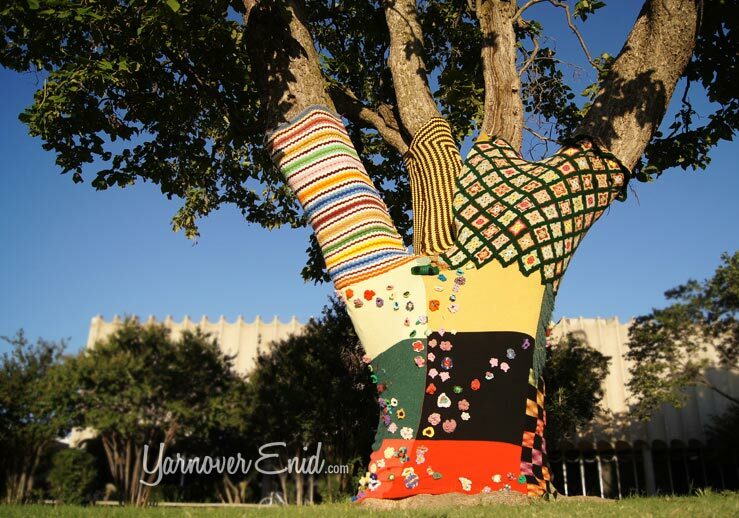 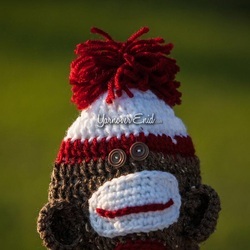 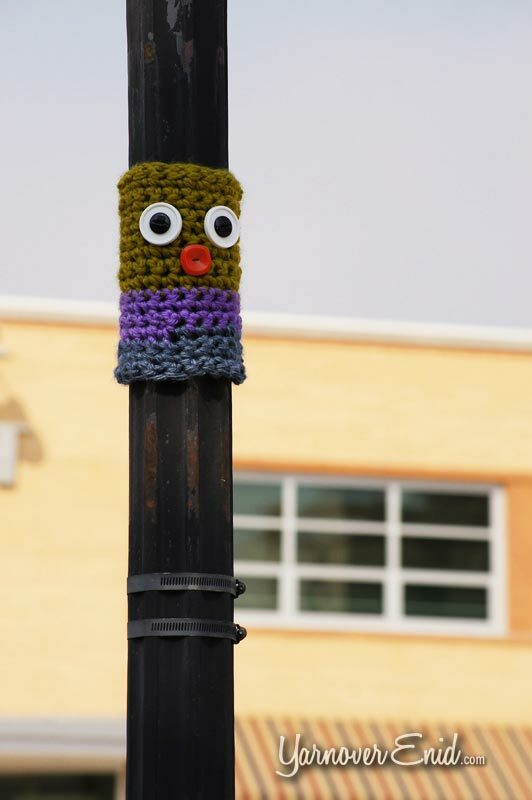 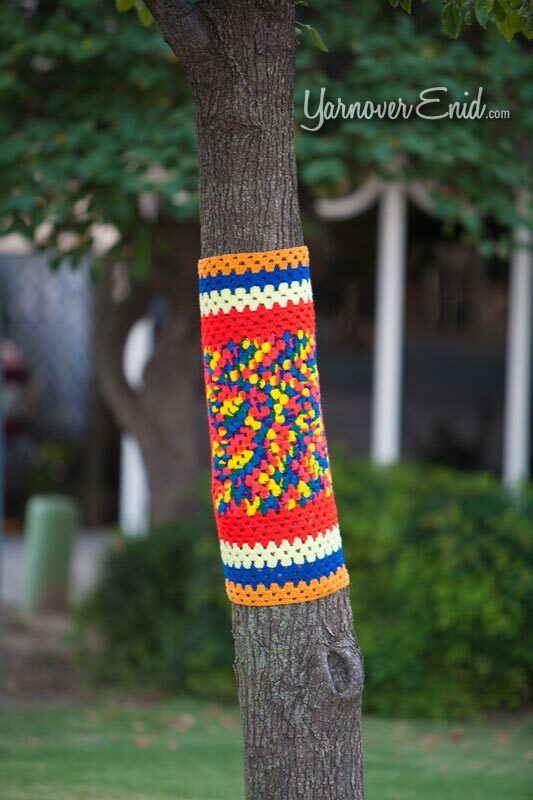 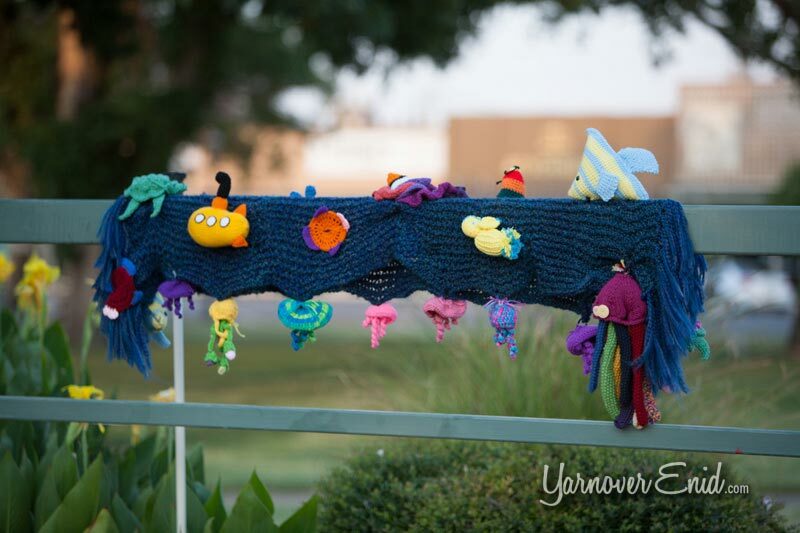 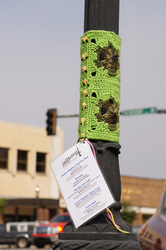 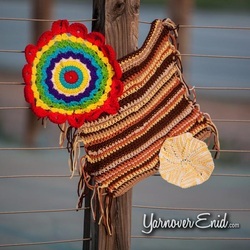 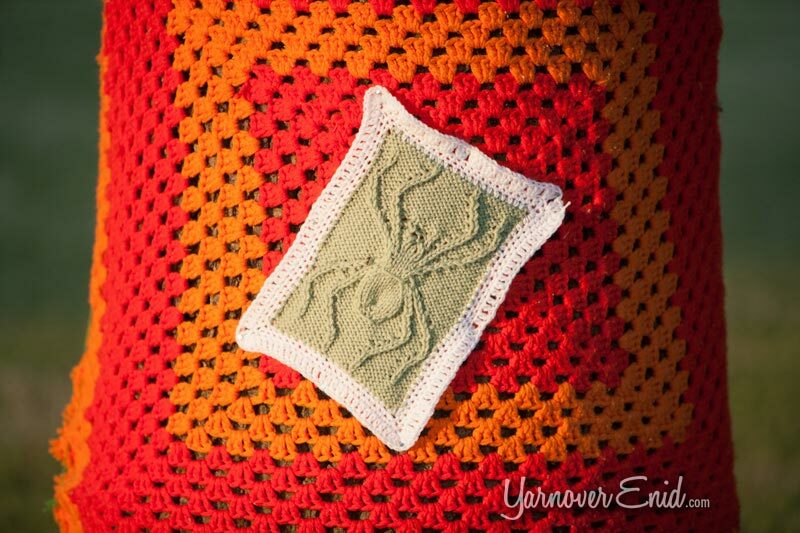 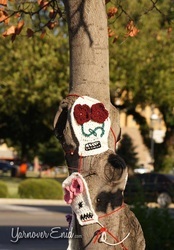 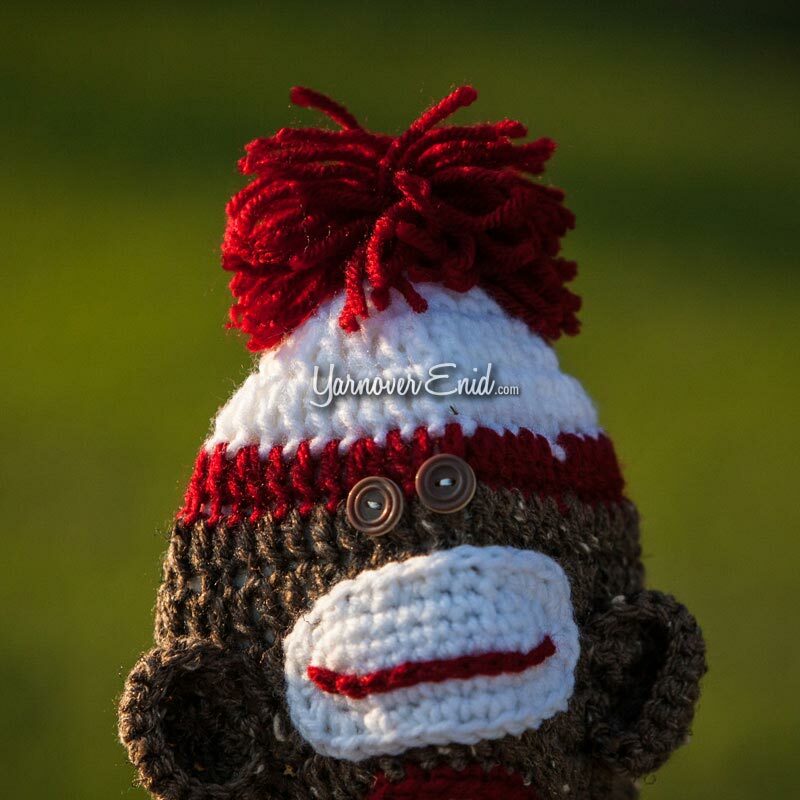 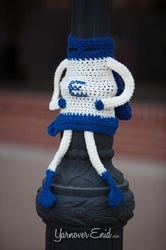 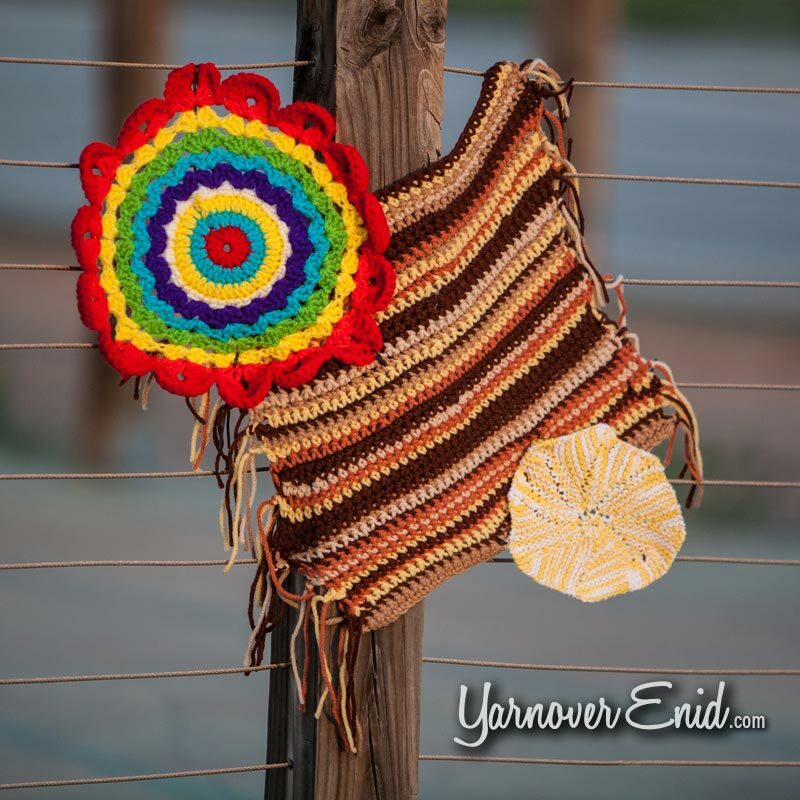 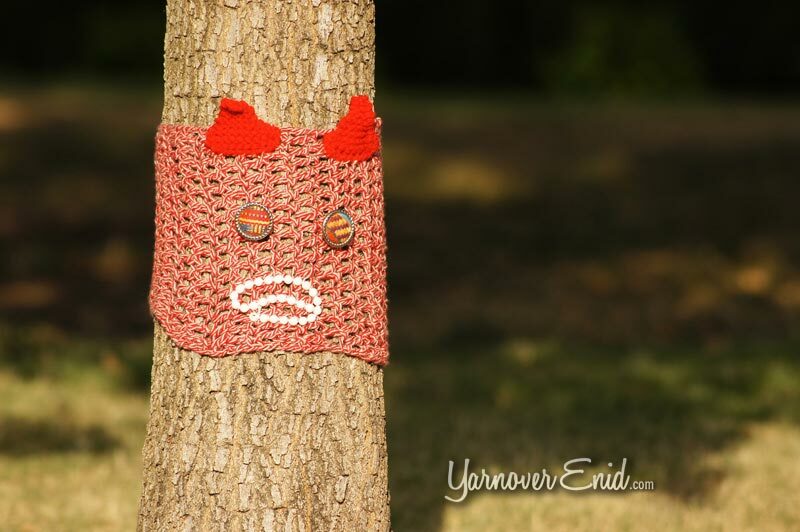 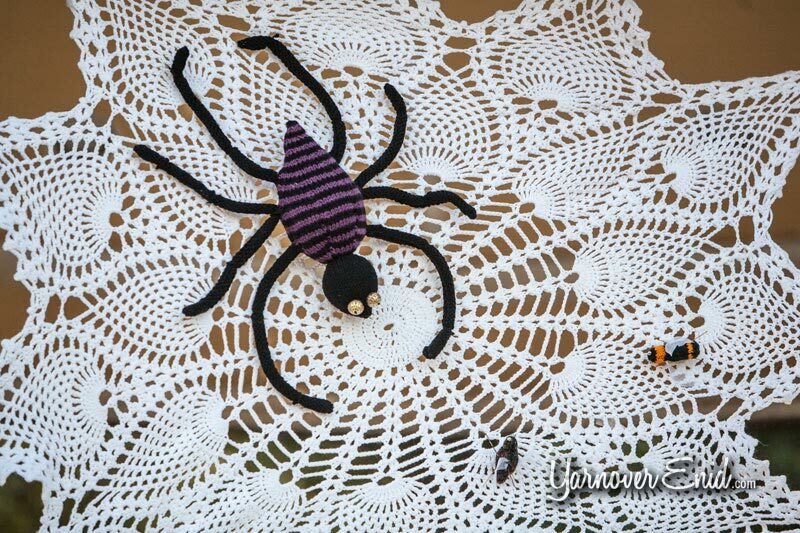 The Prairie Yarn Stormers covered fences, benches and lampposts, public art, even trees with knitted and crocheted creatures and intriguing fiber art. It’s reported the Post Office is sporting a passel of sock monkeys and monster feet on the parking meters, which are part of over 1,200 colorful pieces of art. 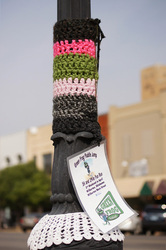 This event was sponsored by Park Avenue Thrift, an organization that has created its own Perfect Storm by giving over $1,000,000 to community endeavors in the last six years. 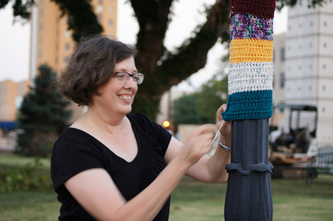 Co-Sponsor is Creative Arts Enid, a teaching studio that is taking the art community in the Enid area by storm. 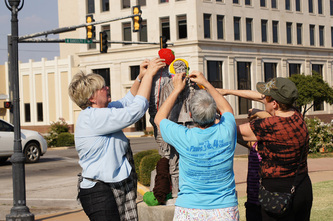 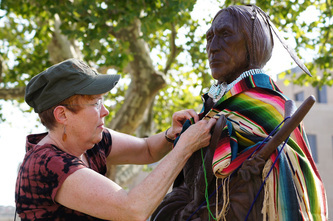 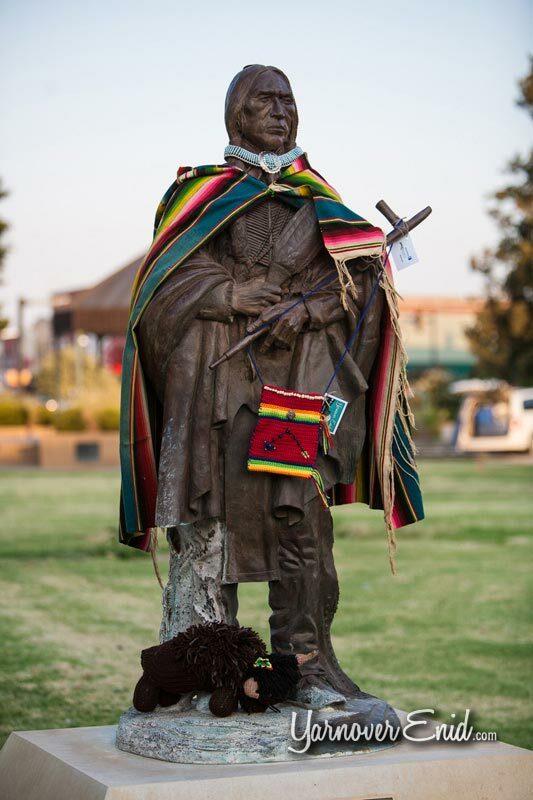 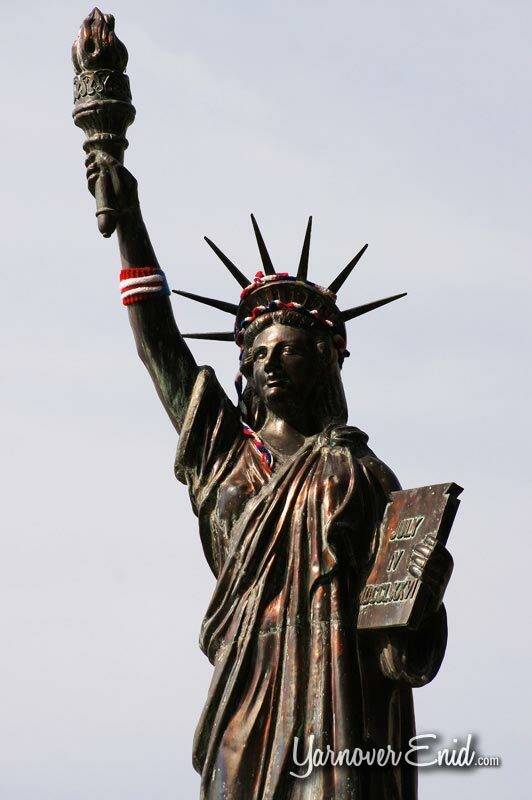 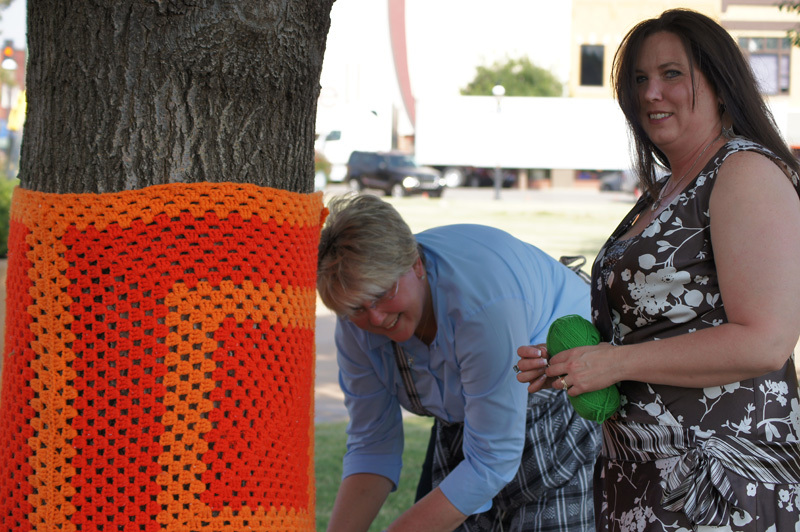 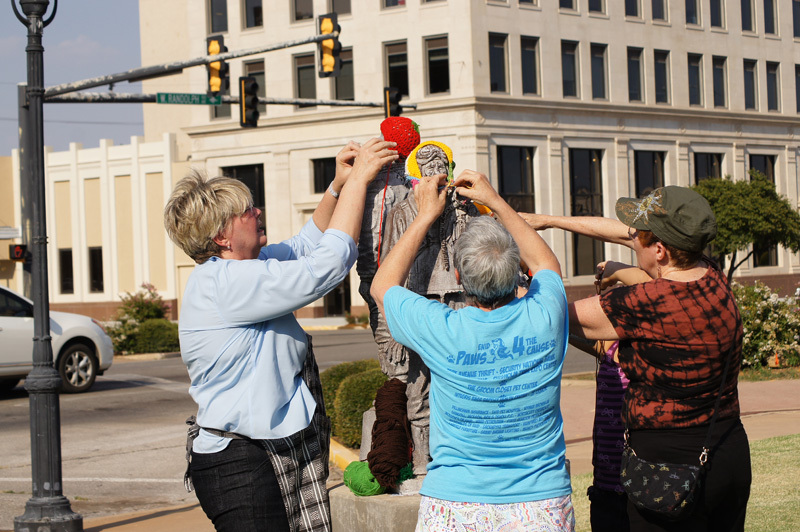 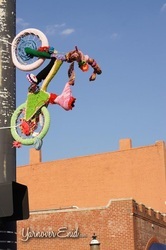 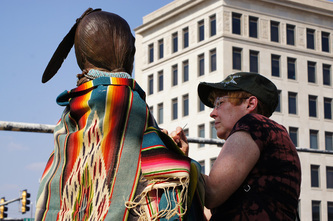 The handiwork was on display from September 7 through October 7, 2013, and was installed to help Enid, OK celebrate her heritage with Cherokee Strip Days.